Steven Gallop joined the YOUNG ARTIST PROGRAM of THE AUSTRALIAN OPERA, (now OPERA AUSTRALIA) in 1991 and went on to appear in many roles for the company including Theseus in A MIDSUMMER NIGHT’S DREAM, The Bonze in MADAM BUTTERFLY, Herman Ortel in DER MEISTERSINGER VON NURNBERG, The Mandarin in TURANDOT, Montano in OTELLO, Swallow in PETER GRIMES, Don Fernando in FIDELIO and Ribbling in UN BALLO IN MASCHERA. Steven Gallop made his European debut in the role of John Claggart in Britten’s BILLY BUDD for NEUE OPER WIEN in 1997, the same year appearing for WELSH NATIONAL OPERA as Don Fernando and covering Rocco in FIDELIO under the baton of Carlo Rizzi. He also appeared as Graf Von Gloster in LEAR for NEUE OPER WIEN and sang Caramello in Offenbach’s IL SIGNOR FAGOTTO for WIENER KONZERTHAUS. He continued his association with WELSH NATIONAL OPERA in 1998 singing the roles of Varlaam and Nikitish in BORIS GODUNOV. On the concert platform, during 1999, he appeared for the MUSIKVERIEN WIEN in Leonard Bernstein’s SONGFEST. During 2000, Steven Gallop made his first appearances in the role of the Hotel Manager in Adés’ POWDER HER FACE for NIMROD OPERA in Odense, Denmark, a role he was subsequently engaged to sing in Chicago, Zagreb, Tel Aviv, Winterthur, Vienna, Naples and Rome and for OPERA NANTES. Other roles around this time included Barbemuche in Leoncavallo’s LA BOHEME under the baton of Marco Guidarini, at the KLANGBOGEN FESTIVAL, and the roles of The Father and The King in Max Nagl’s JAZZMÄRCHEN for the VIENNA VOLKSOPERA, The Hangman in Kurt Wiell’s THE FIREBRAND OF FLORENCE for WIENER KONZERTHAUS, the Haushofmeister in Doderer’s DIE FREMDE for MUSIKWERKSTATT in Vienna, Arthur in Peter Maxwell Davies’ THE LIGHTHOUSE for NEUE OPER WIEN and Odysseus in SZENE PENTHESILEA EIN TRAUM for the WIENER FESTWOCHEN at the VIENNA VOLKSOPER. He was also engaged by ENGLISH NATIONAL OPERA to cover the role of Schigolch in Berg’s LULU. He appeared as Swallow in the Chilean premiere of PETER GRIMES at the TEATRO MUNICIPALE in Santiago. He also sang The Man Without Conscience in Nigel Osborne’s TERRIBLE MOUTH for MUSIKWERKSTATT WIEN and Dr. Anthony Carroll in THE PIANO TUNER, by the same composer, in performances at the ROYAL OPERA COVENT GARDEN and sang the role of Dennis in WHEN SHE DIED by Jonathan Dove for KAMMEROPER WIEN, and Kasper in DER FRIESCHUTZ for BURGARENA REINSBERG in Austria. During 2004 he appeared as Swallow in the Chilean premiere of PETER GRIMES at the TEATRO MUNICIPALE in Santiago. In the USA, for EUGENE OPERA, he sang Sarastro in THE MAGIC FLUTE in 2017 and Mephistopheles in FAUST during 2010. Returning to live in Melbourne during 2008, Steven Gallop was engaged by OPERA AUSTRALIA to appear as The Bonze in its Melbourne season of MADAM BUTTERFLY and as Georgio in I PURITANI for MELBOURNE OPERA. He returned to MELBOURNE OPERA in subsequent seasons as Mephistopheles in FAUST, Colline in LA BOHEME, and Rocco in FIDELIO and his engagements for VICTORIAN OPERA since 2009 have included the Commendatore in DON GIOVANNI, Ariodate in Handel’s XERXES, and Achilla in JULIUS CAESAR, Sarastro in THE MAGIC FLUTE, and Pheobus in JS Bach’s DER STREIT ZWISCHEN PHEOBUS UND PAN. He made his debut, in 2013, with STATE OPERA OF SOUTH AUSTRALIA as the Marquis of Calatrava in LA FORZA DEL DESTINO and The Bonze in MADAM BUTTERFLY. In 2014 he returned to OPERA AUSTRALIA to sing Angelotti in TOSCA and sang Sarastro in the company’s touring production of THE MAGIC FLUTE, performances of which CANBERRA CRITICS’ CIRCLE wrote, …equally thrilling was Steven Gallop’s towering Sarastro. His voice as rich as warm treacle, Gallop commanded the stage on every appearance., while the CANBERRA TIMES said, Steven Gallop’s interpretation was majestic and the legacy of fine training. This was a consummate performance. 2015 included the role of Caspar in MELBOURNE OPERA’s production of DER FREISCHUTZ, the CLASSIC MELBOURNE reviewer writing, …the star of the evening was Steven Gallop… Exceptionally powerful singing and acting. Vocally and theatrically, Gallop would have been an asset to any company in this role., and AUSTRALIAN BOOK REVIEW saying, Gallop dominated the stage whenever he appeared, and thrilled and chilled with his powerful voice and dynamic acting. 2015 also included further performances of Sarastro on tour for OPERA AUSTRALIA and the Commendatore in DON GIOVANNI for STATE OPERA OF SOUTH AUSTRALIA. For OPERA AUSTRALIA during 2016 he appeared as Nourabad in THE PEARLFISHERS, performances of which SIMON PARRIS: MAN IN CHAIR reviewed, Of the four leads, the stand out is Steven Gallop in the featured role of Nourabad. Gallop has a masterfully assured stage presence, and sings with an unflinchingly strong clear bass., while the SYDNEY MORNING HERALD wrote, it was a luxury to cast as fine a singer as Steven Gallop as Nourabad. For the same company he also sang Wurm in LUISA MILLER and Bartolo in THE MARRIAGE OF FIGARO. 2017 included a return to the role of Bartolo for OPERA AUSTRALIA. 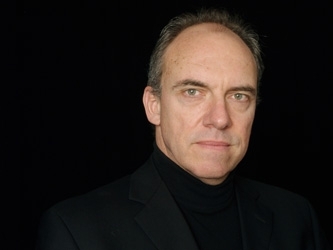 His engagements, during 2018, included GREENROOM AWARD nominated performances in the role of King Marke in TRISTAN UND ISOLDE for MELBOURNE OPERA, SIMON PARRIS MAN IN A CHAIR reviewing, Magnificent as (Tristan and Isolde) are, it is all the more incredible that Australian bass, Steven Gallop can make such a huge impact as Marke… Gallop’s bass is in stellar form; controlled and unwavering, its dark lustre in attractive contrast to the lead pair., and THE AUSTRALIAN saying, … a booming Steven Gallop best taps the work’s plentiful vein of pathos…, while CONCERTONET wrote, ... Steven Gallop’s King Marke… strongly delivered and well-rounded portrayal… commanding stage presence… Mr Gallop… galvanising as the bereft King. He also returned to The Bonze for OPERA AUSTRALIA, on tour in China, and in the Australian touring production of MADAM BUTTERFLY, performances which he continues for the company during 2019. 2019 has also included the role of Daland in MELBOURNE OPERA‘s season of THE FLYING DUTCHMAN of which SIMON PARRIS: MAN IN A CHAIR reviewed saying, Steven Gallop, a singer who repeatedly demonstrates his inestimable value, is in stellar form again… while LIMELIGHT MAGAZINE wrote, Steven Gallop impresses with the vocal strength and clarity he brings to his portrayal of Daland. and OPERACHASER.COM said, Steven Gallop’s burnished bass comes with complimentary authoritative strength. AUSTRALIAN BOOKREVIEW wrote, The equally reliable Gallop, a big bass who can also act, is an entertainingly avaricious Daland.